Gain the skills and experience you’ll need to pass the licensure exam. Unitek’s Vocational Nursing program combines simulation training with professional instruction to create a well-rounded curriculum. Unitek students also have access to labs and medical facilities. This program can be completed in 12 months, which is ideal for those that are short on time but big on dreams! If you like to help people, this could very well be the program for you. Not only is vocational nursing often a very fulfilling career, but it is in demand and only continues to grow. It’s estimated that this profession will grow 12 percent by 2026.1 The need for vocational nurses will likely increase as the elderly population also increases. LVNs will typically see more employment opportunities in several healthcare facilities, such as nursing homes, hospitals, physicians’ offices, and more. Unitek extends a warm welcome to all prospective students! To enroll in the Vocational Nursing program, please complete each of the below steps. Upon completion of the Vocational Nursing program, you’ll have gained more than 900 hours of simulation training, a brand new skillset, and career assistance. You’ll learn how to evaluate patients and their needs. You’ll also learn how to converse with patients, obtain health and medical history, and record negative reactions to treatment. Some states, such as California, allow LVNs to dispense prescribed medication, regulate intravenous fluids, and care for patients that are dependent on ventilators. Among other duties, LVNs also manage aides and nursing assistants. At the Fremont Campus, you’ll find multiple useful locations, such as an extensive library, student lounge, and career services. You’ll also find easily accessible faculty and administrative offices. If you need financial assistance, please contact our financial aid representatives. Unitek provides students with exciting curriculums, convenient locations, and various opportunities. Our career services and financial aid teams are always happy to help prospective students. Whether it’s helping you realize your dreams or simply finding a rewarding profession, Unitek offers several nursing programs that often promise both fulfillment and longevity. As a profession, Vocational Nursing is, without a doubt, on the rise. 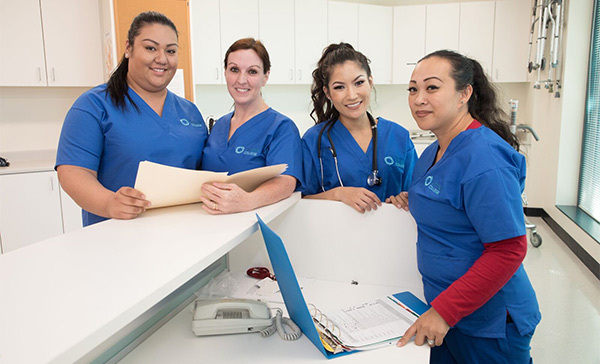 If you’d like to find Vocational Nursing programs in Fremont, please contact us toll free at 888-775-1514.